According to the American Burn Association, there were an estimated 486,000 people that received burn injury treatment in the U.S. in 2011, and in 2014, there were 3,275 people killed nationwide from fire injuries or smoke inhalation according to the National Fire Protection Agency (NFPA). Moreover, the NFPA estimates that fire departments across the nation responded to more than 1.3 million fires in 2017. In fact, according to the NFPA, fire departments respond to a fire every 24 seconds, and a fire occurs in the U.S. at least every 63 seconds. 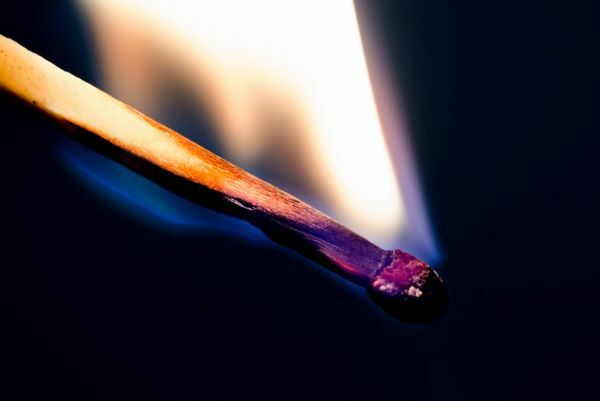 These fires cause property damage, severe injuries, and even death in some instances, and the fact is, sustaining burn injuries in an accident can result in permanent scarring, a long and painful recovery process, and a large number of medical expenses. As such, it’s important for you to understand the various types of burn injuries you or your family members could sustain in an accident, the various treatment options that are available for burn injuries, and the types of damages that burn victims typically receive compensation for following an accident. First-Degree Burns: This type of burn involves damage to the epidermis, the top outer layer of your skin, only. Second-Degree Burns: Second-degree burns involve damage to both the epidermis and the dermis, which is the layer of your skin below the outer layer. Third-Degree Burns: This type of burn involves damage to the lowest layer of your skin, which is referred to as the subcutaneous layer, as well as the dermis and epidermis. Split-Thickness Skin Grafts: This type of skin graft involves the removal of a few layers of the epidermis layer of your skin from one area of your body and surgically attach it to the burned area of your body. Full-Thickness Skin Grafts: This type of skin graft is identical to a split-thickness skin graft, but full-thickness skin grafts involve the removal of layers of skin from both the dermis and epidermis layers of skin. Other treatment options for burn injury patients include the use of topical antibiotic creams and ointments as well as allowing the burn injuries to heal by covering them with sterile bandages or infection preventing bandages containing silver that are typically used on a long-term basis. Sustaining a burn injury can be painful and traumatic, and many accident victims that have sustained severe burn injuries will have to deal with the long term effects of these injuries forever. While some fires are avoidable, others are caused by another person’s or company’s negligence, and in these instances, it’s important for you to employ the services of a personal injury attorney that has extensive experience with handling burn injury claims. At Friedland & Associates, our personal injury attorney has helped hundreds of burn injury victims seek the compensation they deserve for their injuries, and he stands ready to help you. So, give our office a call today for a free consultation to find out how our personal injury attorney can help you.